With my 10 easy tips to save time and get the most bang for your buck! Do you wonder how much time you should be spending marketing yourself as an artist? Allow me to teach you strategies on how to market yourself as an independent artist on instagram, pinterest, google, and facebook without spending a lot of time. I'll show you how to GROW your design business on autopilot. Discussed by real designers with special guest, Erica Ilene. Are you curious why Pantone chose Living Coral as the 2019 Color of the Year? Read my blog post to find out why and what it means for your business. Is Surtex really worth the time, MONEY, and energy that designers invest? Check out my step-by-step guide to my Fabric Design Tutorial. Learn how to design your own fabric in my easy step-by-step video tutorial. I dive into everything from trend research to design to uploading to Spoonflower. With my 5 easy tips for getting started! Learn how to become a Textile Designer in 5 easy steps. Hint: I did NOT major in Textile Design in school. Add a Pinterest Widget to your website and your followers can get updated in REAL time on the trends you’re obsessed with. In this lesson, I teach you how to set up your file in Photoshop and the benefit of using Photoshop Layers. I offer an entire FREE 5 day email course on how to get started in Photoshop if you’re a beginner. This blog posts walks you through the 1st lesson. I was very excited to get a custom request to Illustrate MealEnders' new Website Pop-up. Dana: Hi, we are looking for a design for our new website pop-up (MealEnders.com) to get people to subscribe to our mailing list that includes a newsletter and advice from our dietitian. We may also use it for her column in the newsletter. Thanks! Lauren: Hi! Thank you for your order. Please send a photo and let me know of any other details you would like in your design. Thanks! Here is the final design that Dana approved. It is a beautiful vector illustration of MealEnders' dietitian in action. 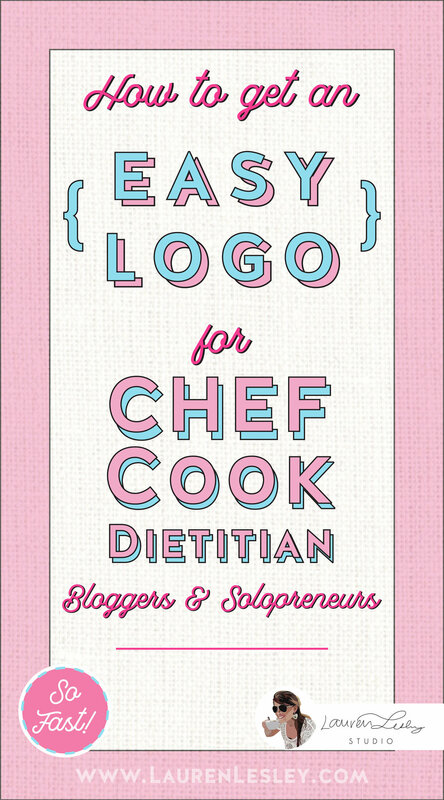 This type of design works beautifully for chefs and nutritionists. I was very excited to get a custom request from Marie, a Science Teacher. I am looking to have an illustration made of me for my teacher blog and to perhaps use in my logo. I am a science teacher that lives and works in MA so I am looking for something with a nautical flair. I will attach some photos of me and the color palette of my teacher blog. Thank you very much, Marie. Here is the final design that Marie approved. It is a beautiful vector illustration of her for her Teaching Blog. This type of design works wonderfully for artists, teachers and anyone looking for a logo for their blog. I was very excited to get a custom request from Mandy, a Real Estate Agent. Yes, I can definitely do this for you. :) Please send a photo of yourself and any inspirations you may like. Thanks so much! Mandy: Thank you so much, I'm looking forward to seeing what you come up with. Here is the final design that Mandy approved. It is a beautiful vector illustration of her in her profession as a Real Estate Agent. This type of design works beautifully as a logo for Realtor Companies. I was very excited to get a custom request from Macey, a Cleaning Business owner. Macey: Hi, I run a green cleaning business named Macey's Green Cleaning. I like this picture attached...I just would like the color changed to green. Let me know thank you!. Here is the final design that Macey approved. It is a beautiful vector illustration of her Green Cleaning Business. This type of Design works wonderfully for Cleaning Services. IGTV is the new way to watch. Remember when Snapchat used to be a thing? Haaa. Then Instagram Stories launched and all of a sudden people had the option to consolidate their platforms - and BAM! It worked. Click on the Title to read more! I was very excited to get a custom request from Jody, a Real Estate Agent. Jody: Hi, I'm looking for a logo similar to the real estate agent you have shown. Of course I would like her to look like me. But I do want the same idea holding house keys with with a sold sign. I also would like my name and the word realtor under it. I plan to use this logo on all my advertisements. I would like the image to be cute, playful and approachable. I would like my hair darker than whats shown in my picture. light brown brown with highlights. The name in a fun and playful font. Thanks for your message. I'd love to help you with this project. Here is the final design that Jody approved. It is a beautiful vector illustration of her as a Real Estate Agent. This type of design works wonderfully as a logo for Real Estate Agents. I was very excited to get a custom request from Candace to design an Illustration for her agent, Caroline. Candace: Hi Lauren! Its me again! I'm adding a buyers agent to my team and would love to get her one of these characters done. Same "My Agent Caroline" but maybe in front of a house or picket fence row instead... is that possible? I have attached a few images. Lauren: Definitely! I would love to work on this for you! Here is the final design that Candace approved. It is a beautiful vector illustration of her agent, Caroline. I was very excited to get a custom request from Kim, a Blogger with Newborn Twins. Kim: Hi! I am creating a blog and I am looking for someone to help with my logo :) do you create Wordpress blog templates as well? I love your illustrations. Lauren: Hey Kim, I would love to create a logo for you! Thanks for your message. The way it works is you can describe some of your ideas in this thread and attach some images of yourself. You can also include any inspiration images so I can get a sense of your design style. Here is the final design that Kim approved. It is a beautiful vector illustration of her and her Newborn Twins. This type of Design works wonderfully for Blog Logos. 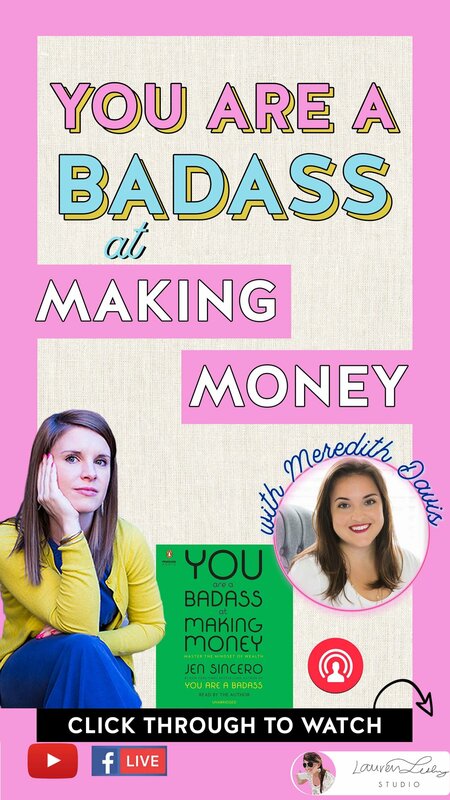 Join the live book club discussion of Jen Sincero’s life-changing book, You Are a Badass at Making Money. We dive into book club questions that really force us to look at our limiting beliefs surrounding money. ARE YOU TIRED OF BEING TOTALLY BROKE? Being broke is stressful. Before I read Jen Sincero's You are a Badass at Making Money I had no idea that getting rich was something in my control. I thought ultra fancy "Rich" people were either lucky SOB's inheriting their family's heaping wealth, lucky SOB's with a world-changing invention or business idea, or lucky SOB's born with a genius-level brain. I was very excited to get a custom request from Kelly, a Business Woman. Kelly: Hi Lauren, could I get the Liz character with no glasses? Kelly: Ok, I purchased a business woman Liz and ordered the revision. Was hoping to have her in the style of dress that I carry in my business. Here is the final design that Kelly approved. It is a beautiful vector illustration of her as a Business Woman. Victoria: Hi Lauren!, I am a celebrity makeup artist and I am launching a makeup line for my studio and clients. I work on Miss USA, Miss Universe and all of the red carpet events in LA, I need something girly glam but I always leave my clients with a motivation and inspiration message to empower them to find their magic and know that they are ENOUGH! Here is the final design that Victoria approved. It is a beautiful vector illustration of her as a professional Makeup Artist for Celebrities. 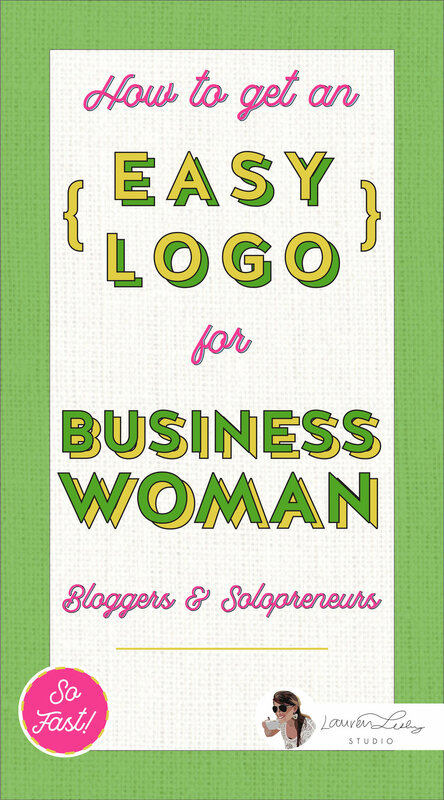 This type of Design works beautifully for professional Business Babes. I was very excited to get a custom request from Katie, a personal trainer, yoga teacher and pre- and post-natal fitness specialist. Katie: Hi Lauren, I'm interested in having you make a custom character logo for me similar to this one. I am a personal trainer, yoga teacher and pre- and post-natal fitness specialist. I would like a logo with the avatar and then some me avatars like the fitness and yoga avatars you have. Attached are three photos. I have green eyes. Let me know if you need anything else. Thanks so much! Here is the final design that Katie approved. It is a beautiful vector illustration of her in her profession as a Fitness Specialist. This type of design works wonderfully for Business Women in the Fitness or Health Profession.